Ending. 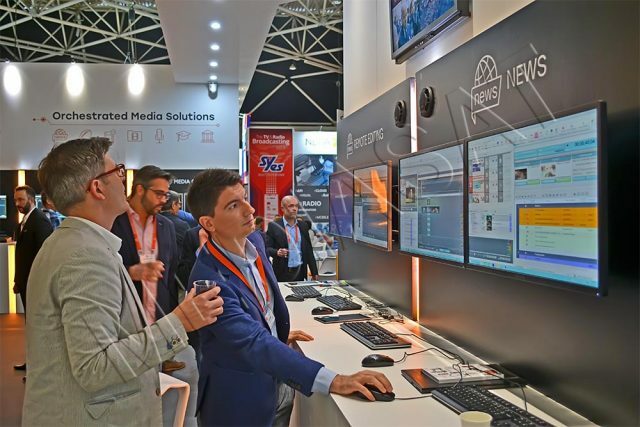 Read the beginning in the articles IBC 2018: AI, OTT and VoD Go On Mainstreams and IBC 2018: Technologies and interesting solutions. 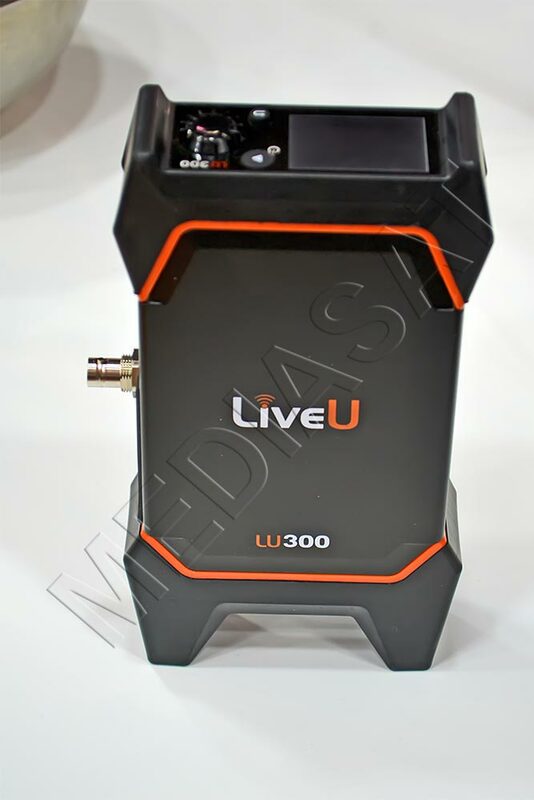 LiveU announced its LU300 HEVC, a powerful compact device for live video broadcasts. 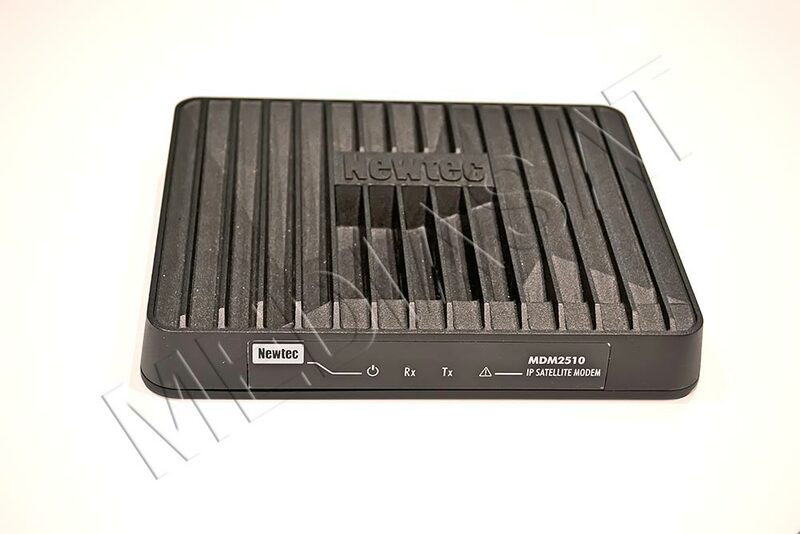 Weighing only 900 g, this encoder-transmitter provides up to six communication channels: there are two 3G/4G /LTE modems, two external cellular modems plus Wi-Fi 802.11 a/b/g/n/ac and Ethernet. Due to the vastly improved brightness of 2.2˝ display, the device can be used on a bright sunny day. The battery capacity was extended, so that the battery life is up to three hours now. HEVC/H.265, H.264, USB, HDMI, SDI are supported. Lawo (Germany) presented its vm_udx Virtual Module for V_matrix. VM ensures conversion between SD/HD/4K formats. Vm_udx provides 4 independent IP/SDI conversion options for SD/HD/4K signals. SD/HD conversion uses 1 channel, and conversion to/from 4K requires the two ones. ST-2022-6, ST2110-20/30/31/AES67 and others are supported. The solution is coming in the first quarter of 2019. Broadcasters would be also interested in vm_dmw64-4 VM for V_matrix IP platform. The solution supports unlimited inputs, 4K/UHD, 3G/HD/SD. Each module is able to work with 24 input signals in any combination (4K/3G/HD/SD), i.e. the limit depends on physical limitations or network bandwidth. 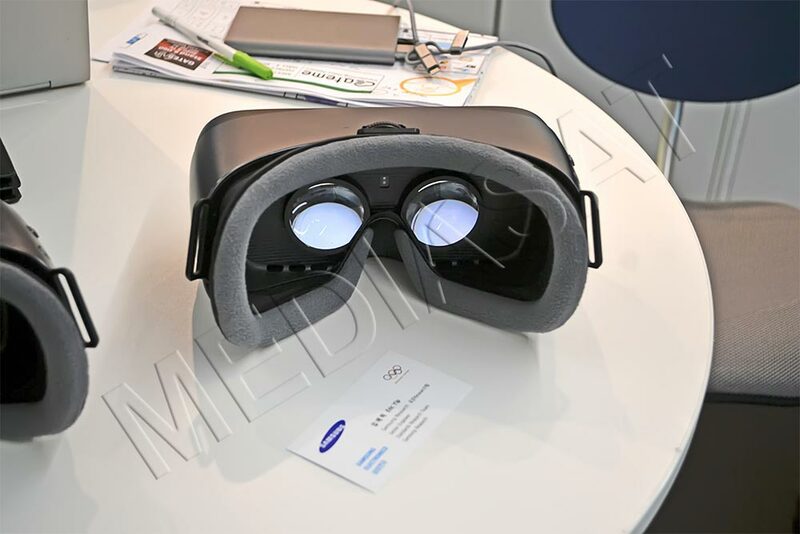 Samsung exhibited its VR Live Streaming environment for a VR-panoramic view, designed on virtual reality glasses and 18 cameras that make dimensional space around the viewer. Transferring signal from these cameras to the glasses requires a bandwidth of some 10-20 Mbps. Optoway Technology (Taiwan) presented its 12G-SDI SPF+, a compact transceiver and converter in one. The device provides transfer speeds of up to 11.88 Gbps over a distance of up to 40 km. 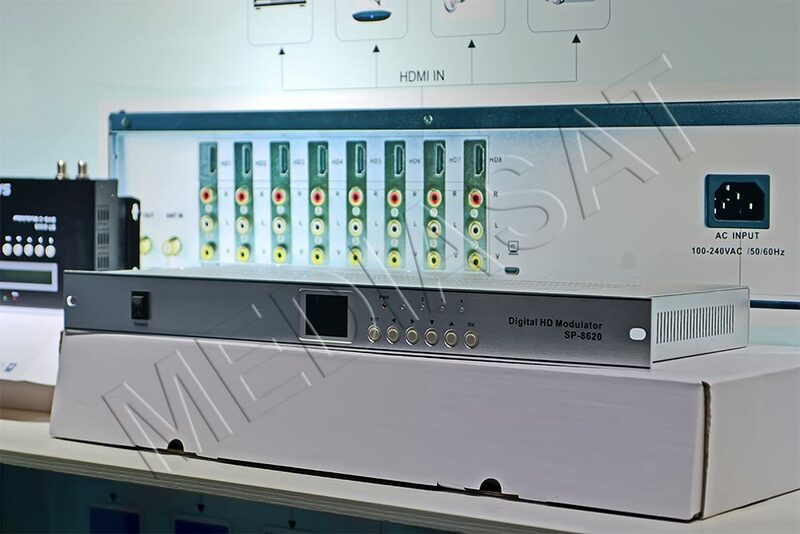 HD-SDI, 3G/6G/12G-SDI are supported. Apantac announced its extenders KVM-IP-Tx, KVM-IP-Rx, KVM-IP-Rx2. Magewell (China) presented two models: the new low-delay IP encoder Pro Convert HDMI 4K Plus ($ 999) for converting HDMI signal to NDI (NewTek). It supports 4Kp60 4:2:0, USB; low delay and power via Ethernet. 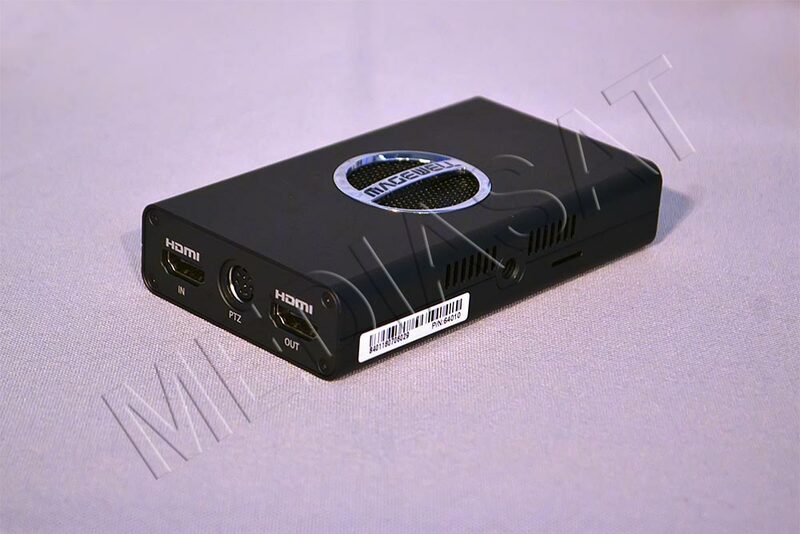 Another model is a standalone single-channel streaming HD encoder Ultra Strem HDMI. The model provides simultaneous recording, preview and streaming. It supports H.264, 1080p60, USB, HDMI. 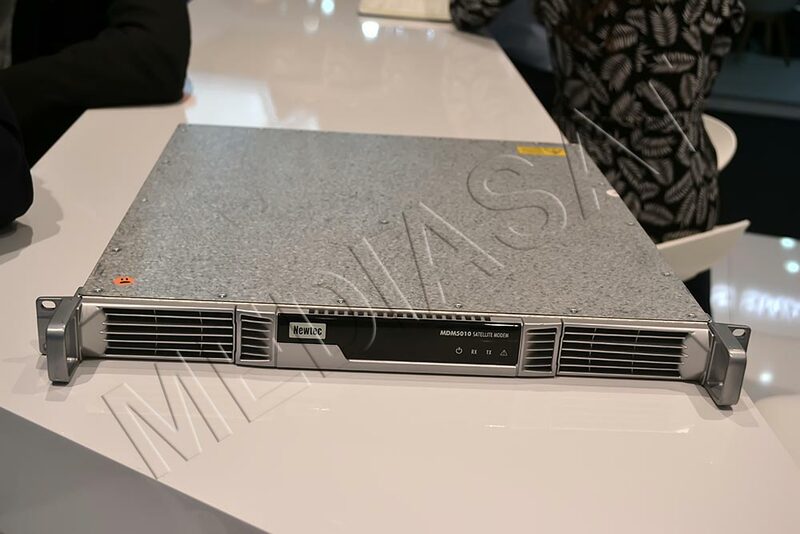 AJA Video Systems presented a number of new solutions: KONA5 (PCIe card supporting HDR, 4K/UHD/2K/ HD), IP-HDMI converter IPR-10G2-HDMI, IP-SDI converter IPR-10G2-SDI and others. 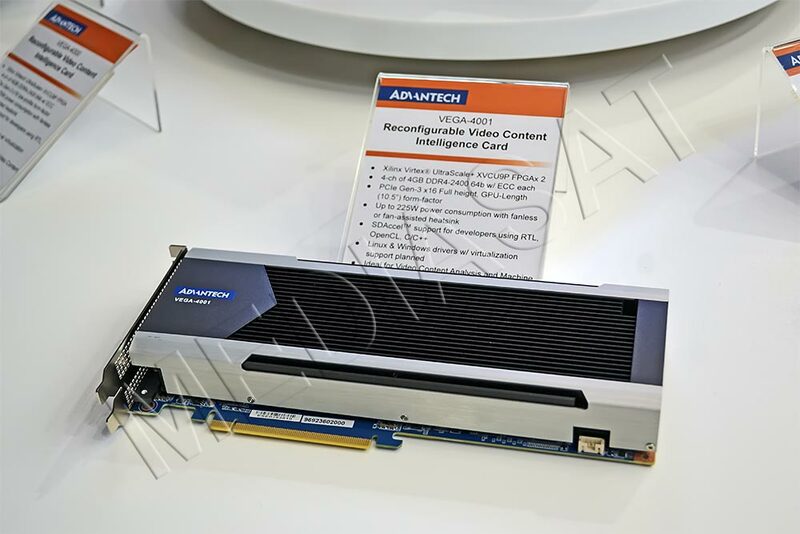 Advantech presented its VEGA-6304, a compact 8K HEVC/H.265 encoder supporting 12G-SDI, 4:2:2. The model is designed on Intel i7-7700 processor and has 16 GB DDR4-2400 memory. There are two connectors SATA3 HDD. Another solution is VEGA-4001, a video card for analyzing video content with 4 GB DDR4-2400 memory. Warwick University in cooperation with Google, trueDK, ORF, SIM2 and Vicomtech presented a royalty-free option of converting HDR to AV1. The IP switchover is also pushed on by… codecs. Thus, many broadcasters operate with uncompressed HD and 4K video, using the TICO RDD35 compression standard (SMPTE ST-2022-6). The adoption of the new TICO-XS standard (JPEG-XS) will allow for even more effective compression against TICO RD35, meanwhile ensuring low delay, efficient signal encoding, as well as it will be possible to use low-power-consumption equipment. Among the new optical equipment, ASTRO Strobel exhibited a new generation of high-power optical amplifiers OHPAo (Optical High Power Amplifier outdoor) able to operate in extreme conditions. A new high-tech 1550 nm pumping laser from market leader Lumentum was used in a multi-port EDFA amplifier to ensure reliability and uninterrupted signal in optical networks, even in the most extreme weather conditions, including high atmospheric temperature. The manufacturer guarantees a many years operation with minimal maintenance costs. The remote software update supports Network Time Protocol and is able to remotely reboot or reset to default settings. 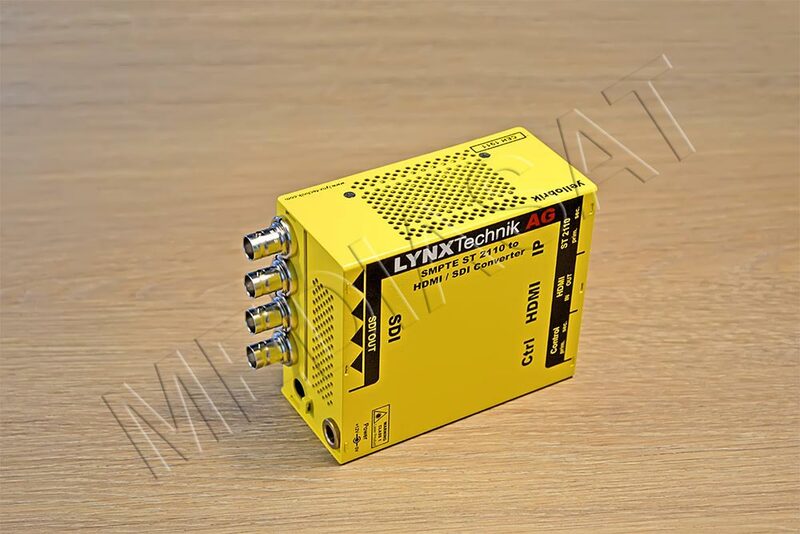 There is an internal optical attenuator 0…- 3dB for adjusting output optical power. New developments were also presented by Guramex. Given its solid experience in designing and manufacturing professional TV studio equipment, the company can be justly considered the only manufacturer of production switchers not only in the post-soviet space, but throughout Europe. The main product line includes powerful professional production switchers, ranging from compact models with 8 inputs and up to 3 M/E devices with 36 inputs. 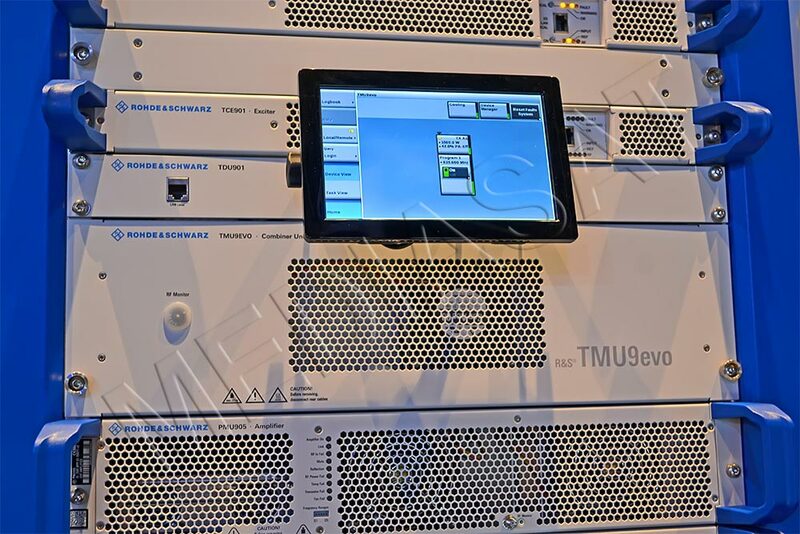 At the exhibition, visitors could have a look at a new compact system unit for GVM-120H production switcher with a modular architecture and ability to install up to 12 HD/SD-SDI inputs. In addition, two inputs support both HD/SD-SDI and analog CVBS format with auto-detection; there are HDMI inputs/outputs. The switcher has an implemented processing of embedded and external audio signals: monitoring of the level of input and output audio signals, audio routing, audio mixing, embedding/de-embedding. Sound processing makes it the best solution for broadcasting and operating rooms. Despite its small size, GVM-120H has additional M/E function, which provides two simultaneous broadcasts. All switchers, including GVM120H, are designed with frame synchronizers across all inputs/outputs, so that there is no need to synchronize all the input signals. A user can select the operation panel in the solution with 8 (GVM-810c) or 16 (GVM-1610c) keys. 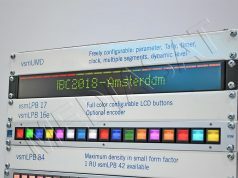 Both panels exhibited at IBC are familiar to Guramex users. 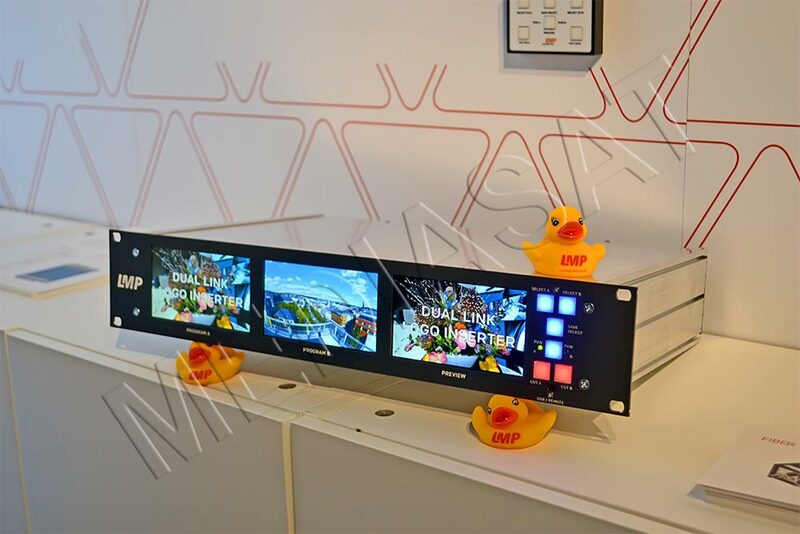 The company also presented its operation panel GVM-1615c, but of course, the flagship was the 2 M/E HD/SD video recorder GVM-3620 with 36 inputs, the modular architecture of which provides flexibility, scalability, easy upgrade and reconfiguration of the system. In addition to a large number of functions, it has 5 DVE channels. The switcher system unit, in addition to the multi-viewer outputs, is designed with quad splitters on each input module, which allows for arranging a powerful monitoring system. The ergonomic keys, built-in monitor, as well as the ability to connect an external touchscreen with an intuitive control interface and a lot of quick keys with customizable lights offer the best comfort for the operator. All equipment is delivered with a free 5-year warranty. 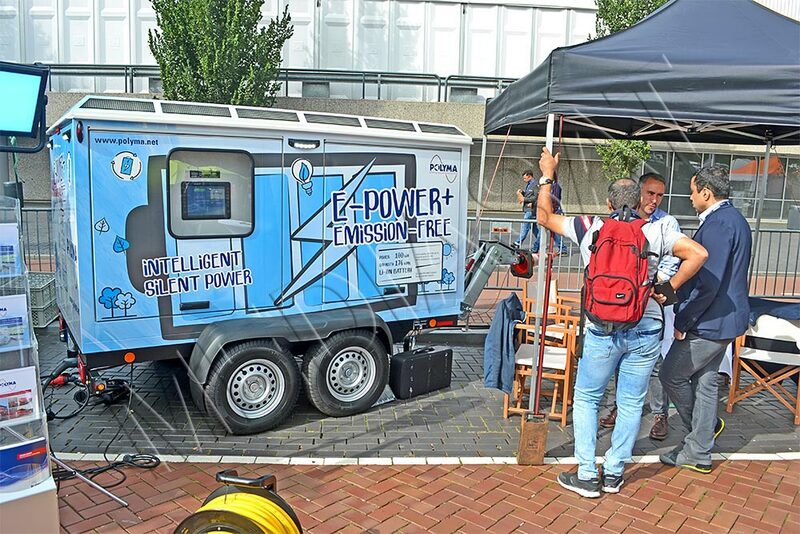 A mobile power-bank with an output power of several hundred kW was the innovation presented by POLYMA Energiesysteme (Germany). The solution “on wheels” is implemented in aluminum case for anticorrosion protection. There are provided an output power of 100 kW and up to 5000 recharge cycles. The lithium-ion battery capacity is 176 kWh. The advantages of that solution include noiseless operation, remote start option, and full charge lasts 8 hours. The weight is 3,500 kg. Another version of mobile power bank is designed on lead batteries with a capacity of 54 kWh. Weighing 2,500 kg, the device is easily transportable in any track like Mercedes Sprinter, etc. The recharge cycles are up to 4000, full charge lasts 6 hours. The battery capacity can be extended up to 72 kWh. 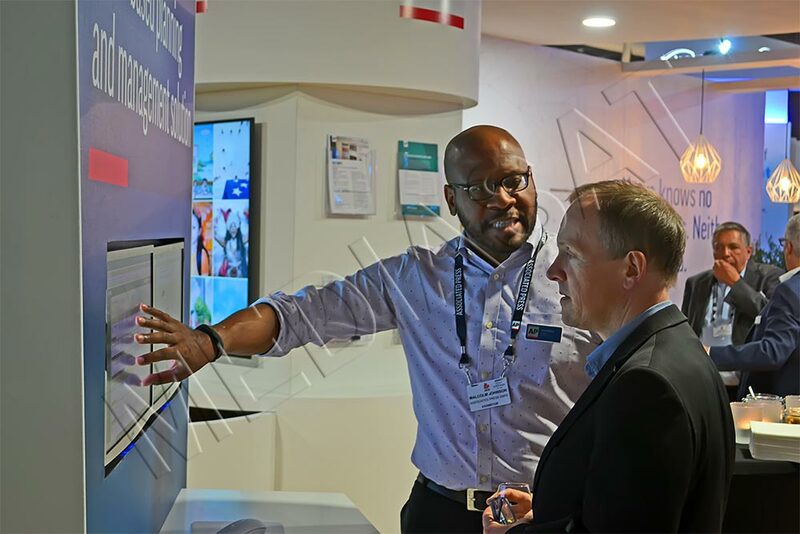 Nanjing Nagasoft Corporation (China) presented its NSCaster X1 solution for operating with real-time video (some $2,000, coming in November-December). The solution provides simultaneous editing and monitoring of video and audio content. 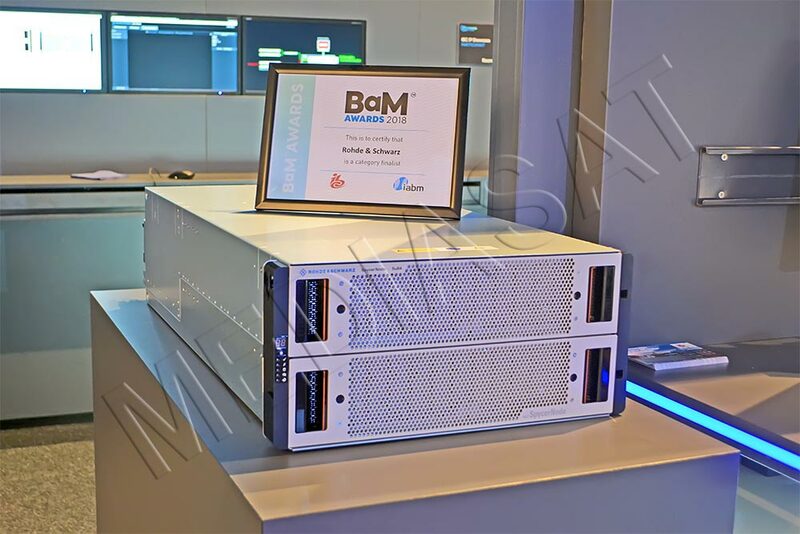 Worldcast Systems presented the patented SmartFM technology with artificial intelligence for FM radio stations, which reduces power consumption by 10-40% and cuts equipment cooling costs. And, the most important for the environment is that CO2 emissions are reduced. The technology cuts the total operation costs and is applied in the company’s new transmitters, as well as in the Ecreso FM line, which are widely used throughout the world (just enough to update the equipment firmware). 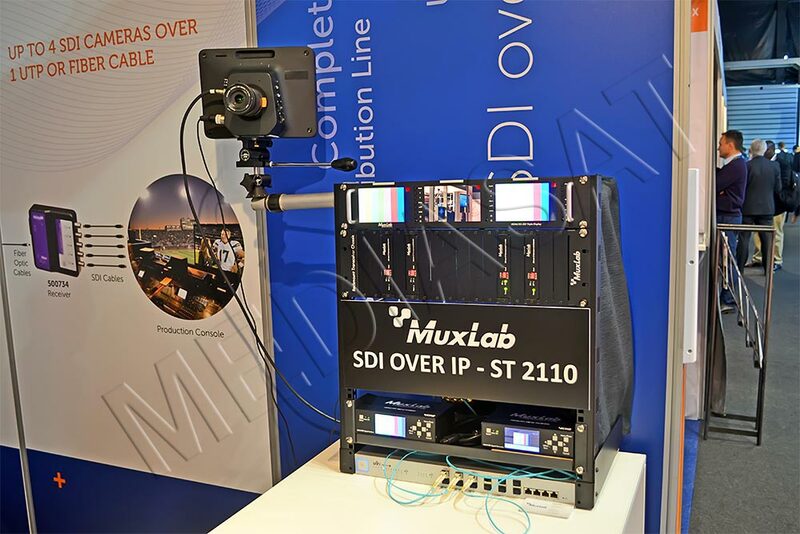 Muxlab brand presented the final version of the receiver-transmitter 3G-SDI/ST2100 via IP. The solution provides HD-SDI/3G-SDI transmission over a distance of up to 30 m via the twisted pair CAT5e/6 or up to 400 m via the duplex multimode fiber (1080p60). The remote control is carried out via RS232. It supports 1/10 Gbps Ethernet. 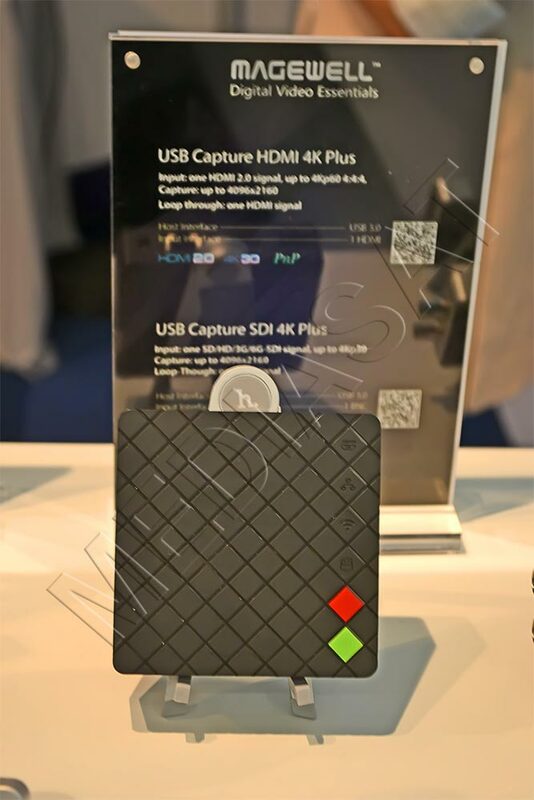 A new exhibitor Fujian Satlink Electronics (China) presented two devices: WS-8902U digital modulator (DVB-T/C, DVB-T2 support is planned later) and SP-8620 HD modulator. The software from Mellanox Technologies (USA) would be of interest to the companies switching over from SDI to IP. The broadcasters are mainly interested in the scalability and flexibility of solutions that facilitate this switchover. The Rivermax solution coming in November is a set of API libraries for Windows/Linux applications that work with streaming HD/4K/8K UHD videos. It is compatible with SMPTE 2110-21, reduces the processor load during video streaming and provides a high bandwidth. Rivermax works with video with a resolution of 8K UHD (7680×4320, 50fps, 4:4:4, which is equivalent to 82.2 Gbps). 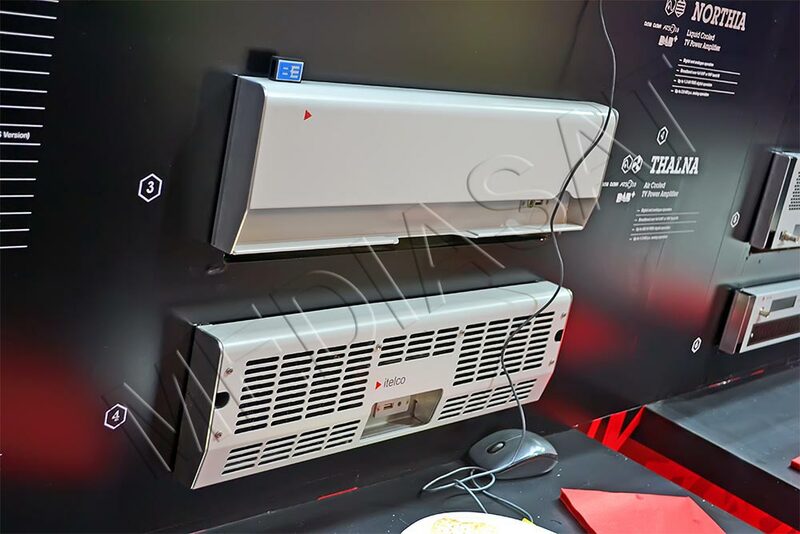 Itelco Broadcast (Italy) exhibited its Northia family of water-cooled transmitters (UHF 6HPAs). The solution supports DVB-T/T2/H and other standards, has low power consumption. There is an option of remote updating software and equipment firmware, USB for monitoring each unit. 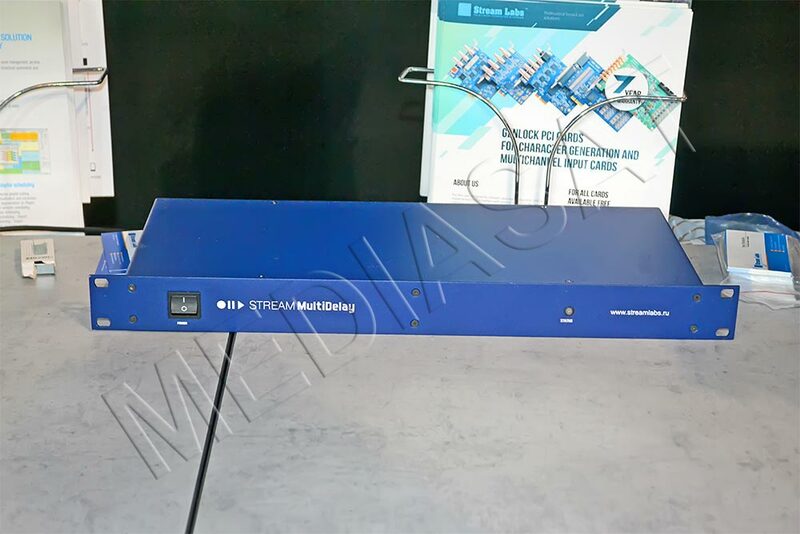 Hangzhou Chixun Technologies (China) under the DiBSYS brand presented its new line of Q modulators (receiver, encoder and decoder in one) for delivering HD/SD, FTA/encrypted channels to any number of TV receivers via coaxial cable or IPTV network. This is an ideal and cheapest solution for hotels, education and healthcare centers, shopping centers, casinos and other platforms requiring limited budget to implement solutions. It supports up to 8/12/16/24 channels of DVB-T/C/S and others. It is configured via web interface. There are several modifications available to provide a “budget TV”. 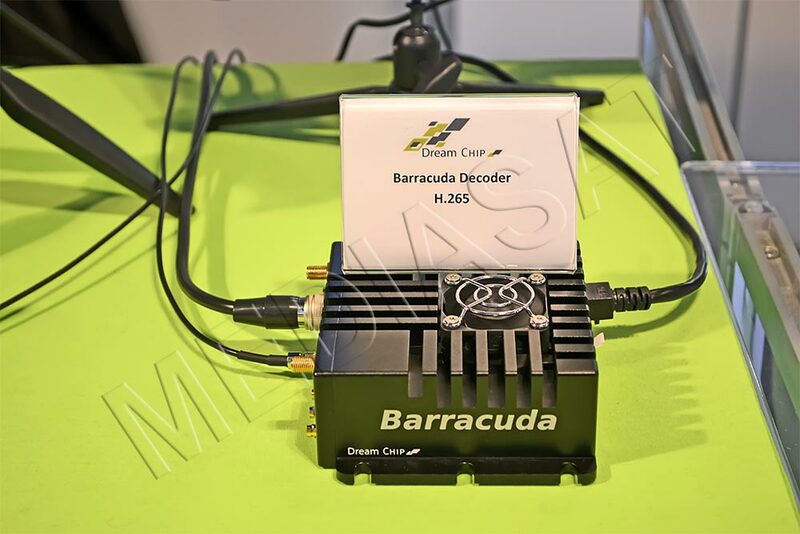 Dream Chip Technologies (Germany) announced its Barrcuda encoder-decoder. The device supports H.264/H.265 and provides low-delay video streaming (up to 200ms) and recording via Gigabit Ethernet or LTE network. 1x4Kp60 or 2x4Kp30 or 4x1080p60 or 5x1080p30 modes are supported. Video is recorded to an SD card (up to 64 GB), an external USB device (USB 3.0) or an external SSD disk. Weighing 500 g, the device consumes 22 W. LTE-modem provides the maximum upload-speed of 150 Mbps. RS485 is supported. LMP (Lux Media Plan, Germany) presented its logo Inserter, a two-channel solution for inserting commercials. The developers at Oxagile working at the hi-tech development center in Belarus presented a project for recognizing people and vehicle plates, which is being implemented in the USA. The solution is applicable for monitoring improper behavior of people (breach of public order, aggressive behavior, etc.) However, the company’s representatives were not eager to disclose their project details. Newtec, the DVB-S2x technology innovator, presented its several solutions. 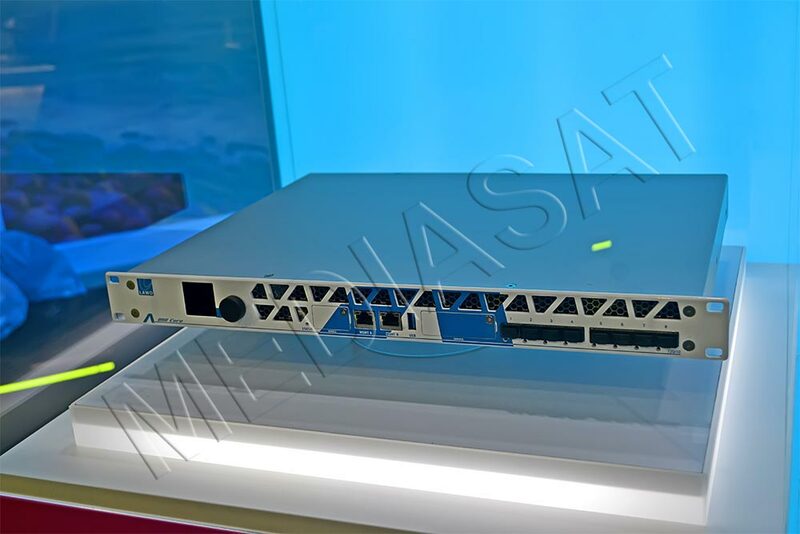 Among others, there are MDM2510 modem, and MDM5010 satellite modem (coming by this year-end). 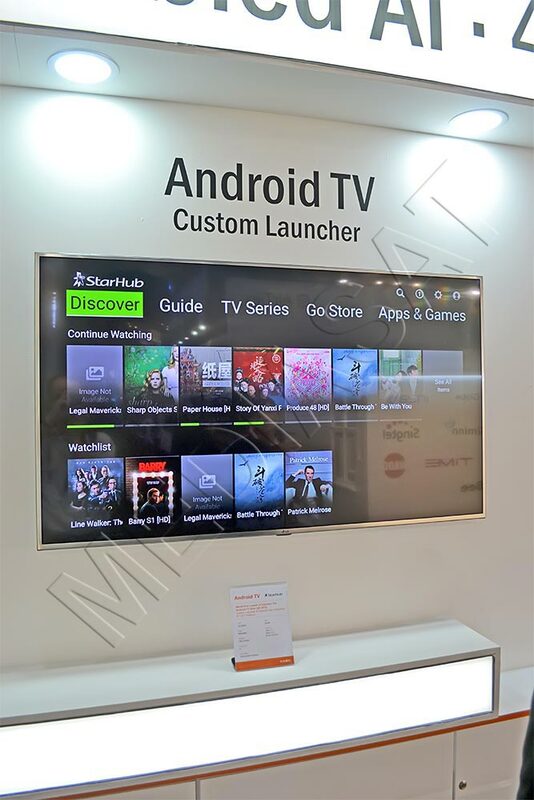 Kaonmedia (South Korea) presented its Android TV Oreo Set Top Box, an IP/OTT platform for launching apps. The set-top box is designed on Android TV Oreo to deliver new TV services to PPTV operators. The new platform supports voice commands, smart home device control, information request processing, and other functions. The solution is made for Singapore’s largest operator StarHub and aims at attracting new subscribers. In Korea, the solution is coming in Q4 2018. Viaccess-Orca in cooperation with SoftAtHome announced their Data-Enabled TV project. The platform is currently under development, and is supposed to provide user base management and simultaneous content delivery security and subscriber data protection (taking into account the latest EU Directive on the protection of EU residents with regard to the processing of personal data (General Data Protection Regulation)). 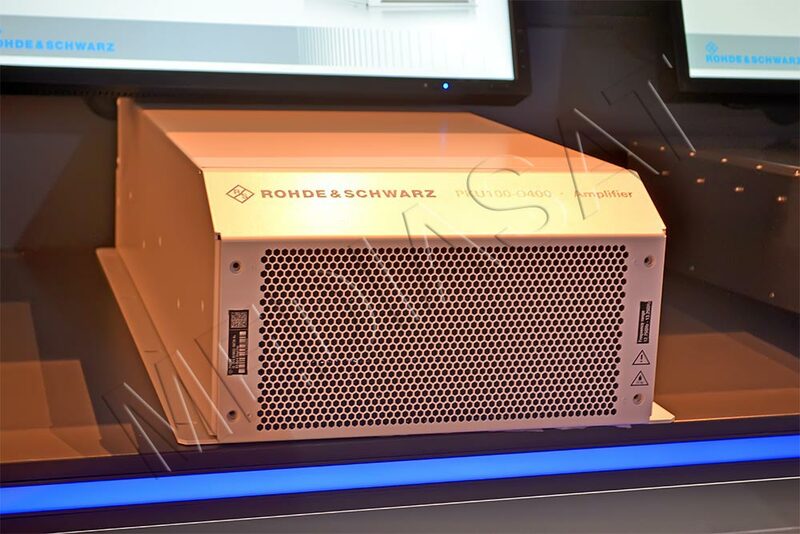 Rohde & Schwarz presented several solutions like a “storage” SpycerNode 5u84, a compact and lightweight air-cooled satellite uplink amplifier PKU100-O400, as well as DVB-T/T2 transmitter TMU9EVO. 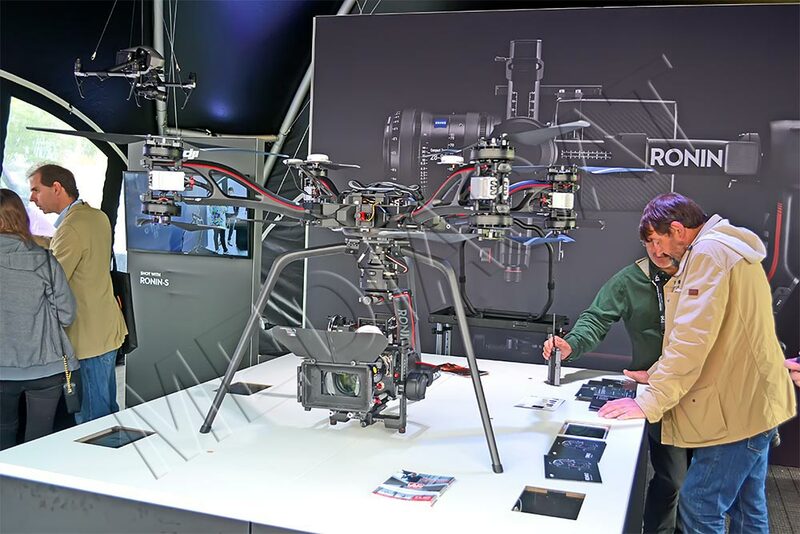 The cameramen and TV studios will appreciate the new model of unmanned aircraft (Heavy Lifter) announced by DJI, i.e. weighing 17 kg, it is able to lift 13.6 kg of payload (camera), as well as to fly for 15 minutes and up to 12 km. 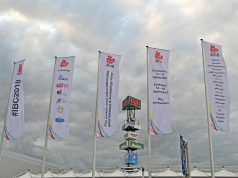 The Latvian office of Stream Labs exhibited several solutions. 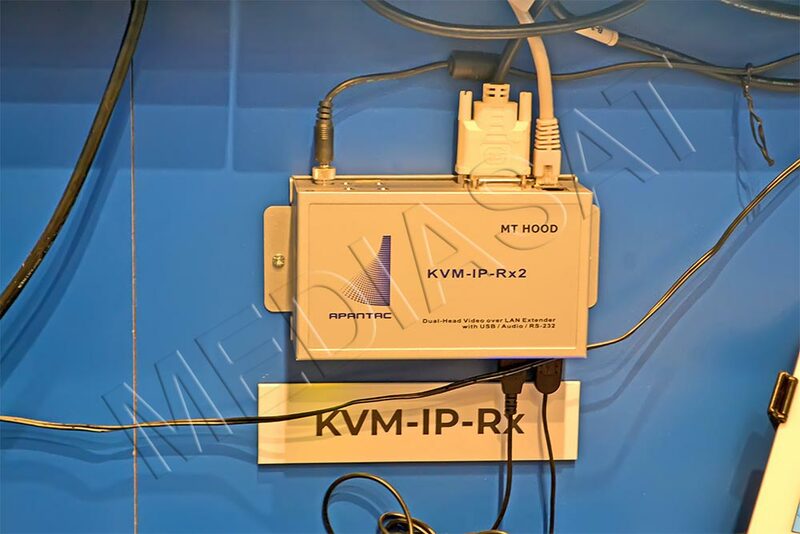 Among them, there was presented a commercial product Stream Multi Probe, which is a software and hardware solution for monitoring the quality of television and radio broadcasts and content delivery within satellite and cable broadcasting networks, as well as IPTV and OTT ones. It supports DVB-T/T2/C/S/S2, QoS and QoE parameters supervision (image or sound loss, video image freeze, no audio, etc.). VRec solution provides multi-channel recording (for 365 days) of analog and digital signals SD/HD-SDI, ASI/API, NewTek NDI. It supports H.264, MPEG2, etc. 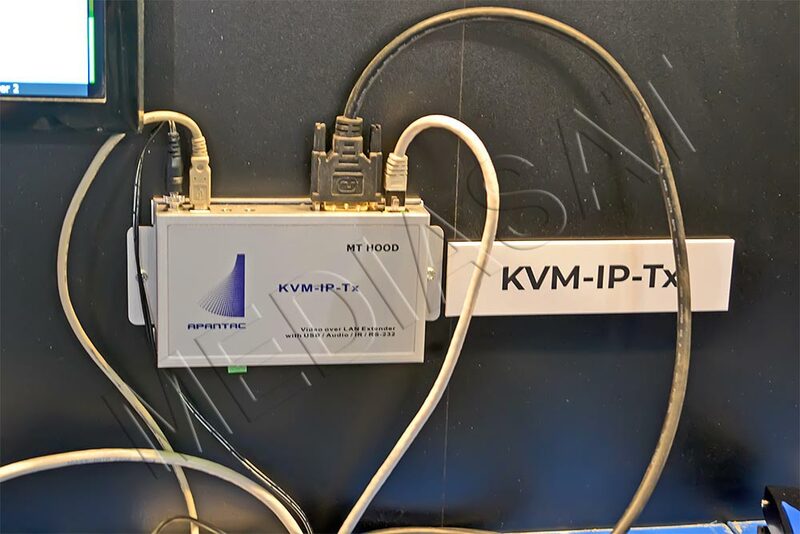 Stream MultiDelay is an operating hardware in the 1RU case that provides a delay of SD/HD-SDI/DVB-ASI signal from 0.1 ms to 19.6 s in increments of 1 ms. Monitoring is carried out via web interface (Ethernet 10/100 Mbps). The ASI/SDI splitter is a modular unit in the 1RU case that supports SD/HD-SDI/ASI signals for 19˝ rack mount. The FM receiver for radio monitoring in the 1U form factor is operated via a web interface and is available in three versions: 6/12/18 channels. There is an external USB port for a wireless 3G/4G modem. The Research and Development Unit at IRIB (Iran) presented a graphic sports analytics system Pixball. It provides a detailed analysis of the player and team behavior on the field during the match. The system collects statistical data from videos and allows for integrating illustrative infographics (for example, commercials) into the video broadcasts. It can be applied to display content on a secondary screen. 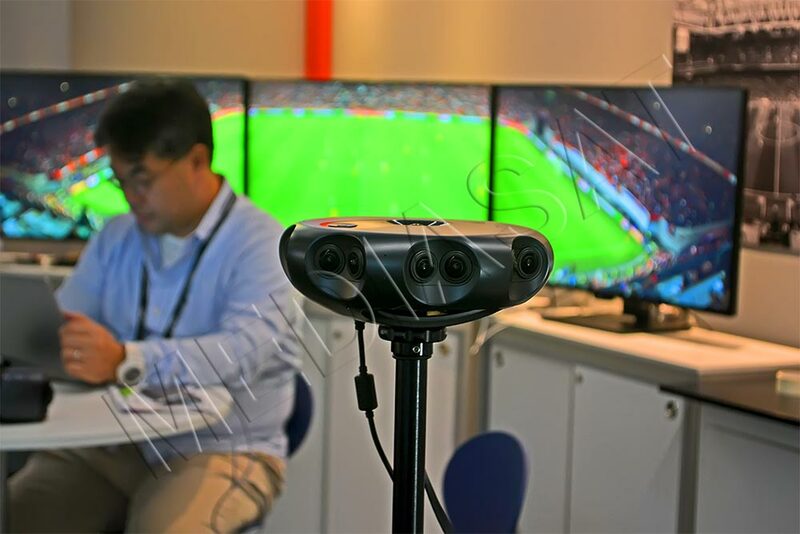 The solution captures and records some 40 parameters, including offside, fouls, goals, shots on target, etc., as well as individual parameters of the players (speed, distance run per game, etc.). Another presented solution was Metinex that provides the insertion of metadata and its reading from videos. Among the available options for metadata insertion to videos (insertion during encoding and integrating metadata into already compressed videos without reconversion), the company opted for the latter option due to lack of image compression artifacts, since the video is not excessively compressed. The Scoreboard OCR solution will allow facilitating the operation of sports mobile TV studios, since this is an application for capturing scoreboard images and adding match scores to live broadcasts. 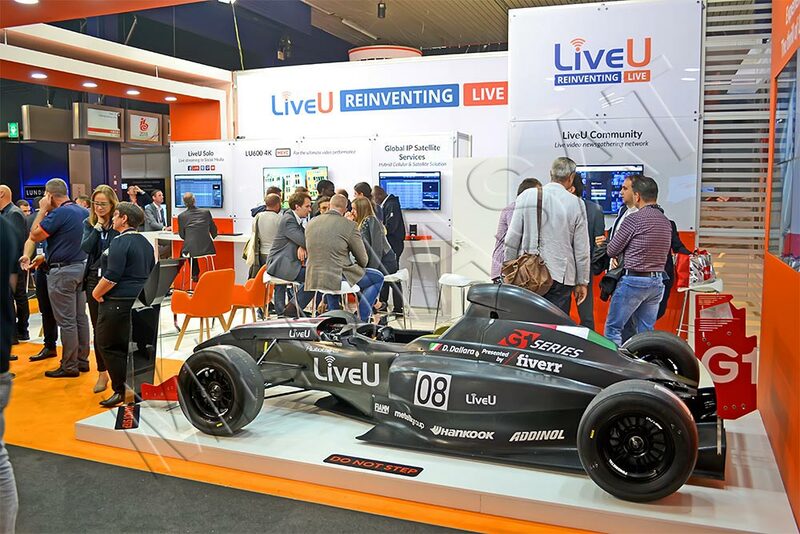 TV broadcasters would be interested in the software solution presented by CreateCtrl (Germany) and designed for the automated classification of the adult audience to show them video content. But since a person has to recheck controversial issues during the working process to ensure the best reliability, the analysis of one video takes about 20 minutes. Qvest Media (Germany) presented a test version of its Qvest.Cloud, a cloud management platform that facilitates the integration and interaction of media services and applications, as well as the integration between Azure, AWS, and GCP clouds. For the time being, the company has been carrying out an assessment of potential users of its solution. Scalability reduces total operation costs. 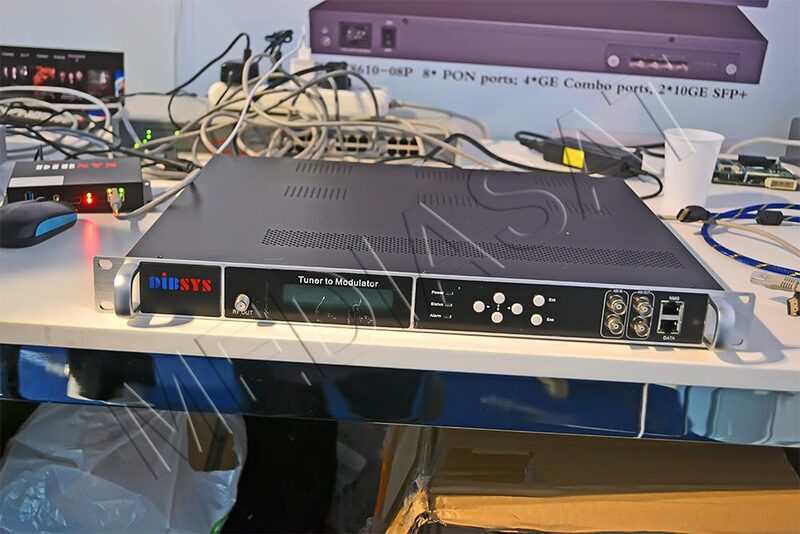 NDI 3.7 (Network Device Interface), announced by NewTek, is a software for video equipment manufacturers (monitors, cameras, projectors, game consoles, converters). Among the NDI’s “innovations” for end users there are tools for analyzing network streams, bitrate determination, timing, video/audio formats. 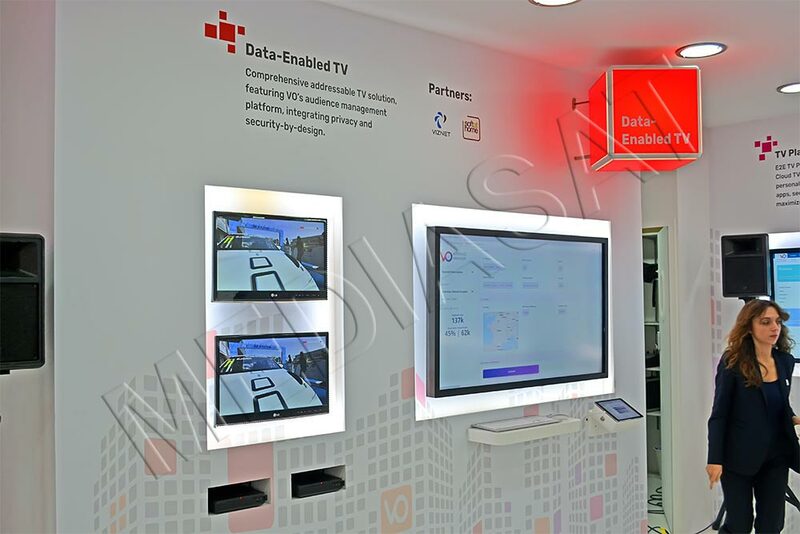 NDI mainly focuses on the customers dealing with IP video. 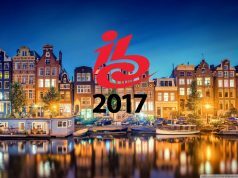 The virtual reality (VR) systems that were presented at the IBC are interesting for the mass consumer in terms of dimensional space technology itself, but since the resolution is mostly low, the pixilation is quite evident in contrast with the upscale options with 8K resolution from the same NHK. After all, the standard mode requires a bandwidth of some 10 Mbps, while 4K requires essentially more. In general, the manufacturers still have work to do. Given the plentiful existing video compression algorithms, manufacturers are unlikely to be limited to the “favorite” technologies, and will keep on introducing new standards to their products (HEVC/H.265, JPEG-XS, etc.). This will release consumers from searching solutions that support a certain technology.